The Plymouth City Council (PCC) has become the latest local authority to secure £3m of funding from the UK Government’s Local Full Fibre Networks (LFFN) project, which will result in a new Fibre-to-the-Premises (FTTP) style ultrafast broadband network being deployed to connect 227 public sector sites (schools, council etc.). Broadly speaking the new network, which will still need to secure a supplier in order to conduct the roll-out, doesn’t only aim to improve public sector connectivity. 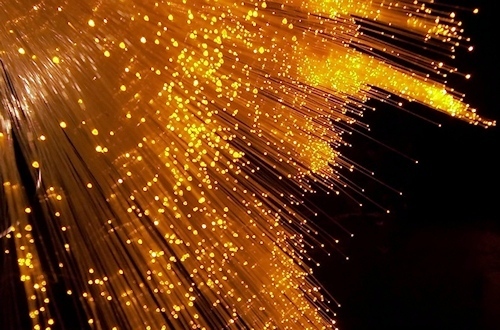 “This investment will significantly extend access to full fibre networks making it easier and cheaper for businesses and homes to connect,” said the announcement. The project also generally hopes to attract more private investment into the area. The approach being taken here is similar to the one that Cityfibre and other ISPs have adopted in different parts of the UK, where the local authority becomes an anchor tenant for the infrastructure and in the future this same network could then be harnessed by other providers (e.g. Cityfibre and Vodafone are now deploying 1Gbps FTTH broadband to 5 million homes in areas where they initially only had a similar Dark Fibre network). At present the city of Plymouth (where most of this work will take place) gets the bulk of its “ultrafast” speed connectivity from Virgin Media’s hybrid fibre coax based cable network (covers most of the city), as well as a little G.fast from Openreach. However pure “full fibre” (FTTP) coverage is only available in a few small pockets. “It’s wonderful that organisations at the heart of our community will benefit from this progress, enabling them to take full advantage of advances in digital technologies. The project is a real step forward for the city and neighbouring rural districts. One area where we expect this bid to make a difference is in helping us to tackle the serious pressures on our public services, for example by offering more patients online GP consultations or testing some of the amazing new technologies that are being developed for remote health checks and monitoring. Sadly the official press release doesn’t contain a lot of detail, although we’ve managed to dig out a bit more information from recent council meetings. Apparently the project will actually cost £3.952m and that extra £952,301 comes from PCC’s Transforming Cities Fund (in another statement they put the figure at £4.08m – probably due to extra promotional/admin costs). i was a bit unrealistic about these schemes when i first heard of them but think they have a good amount of potential for the future.